Sapphire Coast Turf Club is set in bushland between Tathra and Merimbula. Photo: SCTC. 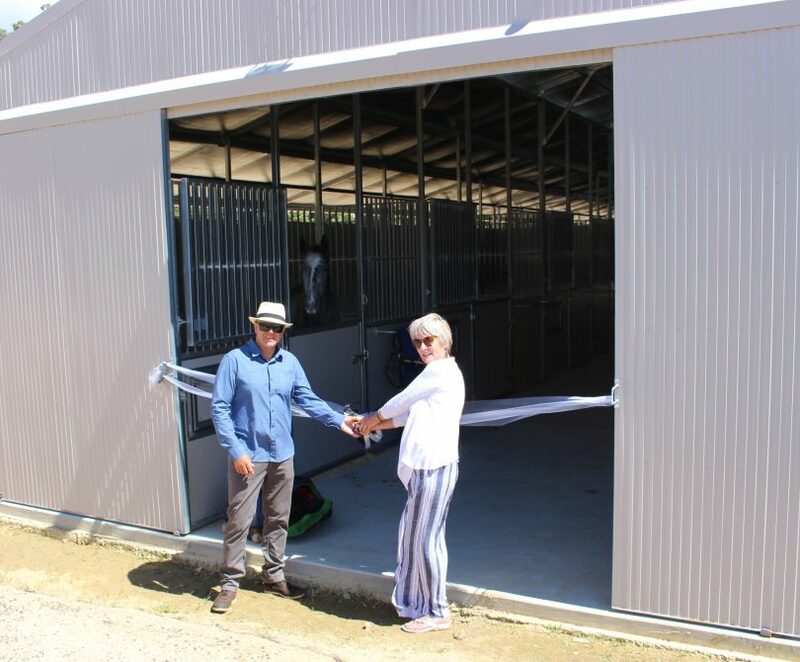 A new horse stable complex has opened at Sapphire Coast Turf Club, north of Merimbula, a move that is seen as being key to growing the racing industry on the Far South Coast. Turf Club President, Robyn Bain believes the $270,000 development allows local trainers to kick-start their business and offers travelling trainers somewhere to safely and securely house their horses. “One of our difficulties is the tyranny of distance, trainers from the north, south, and west need somewhere to put their prized possessions,” Robyn says. The new stables opened in time for the $430,000 Bega Cup weekend and were full on the first night, with 14 horses bunking down in the purpose-built bays. The Turf Club is aiming to have them full at every race meeting. The new stable complex houses 14 horses. Photo: Ian Campbell. 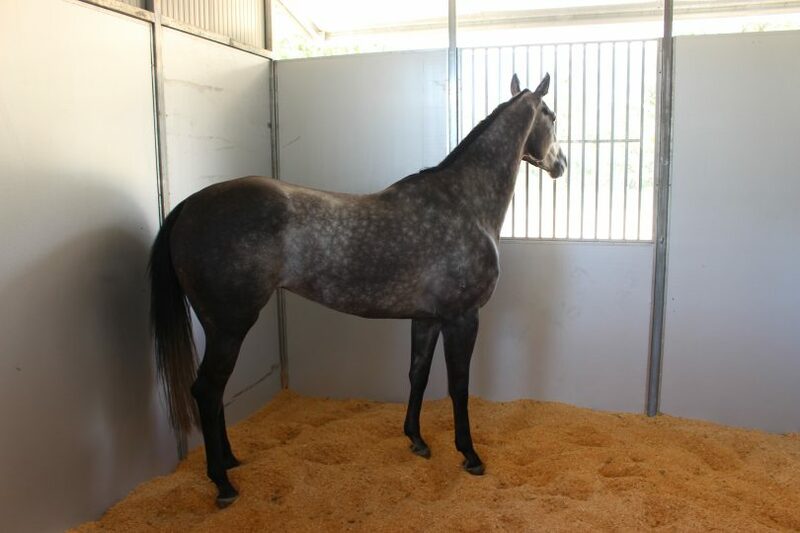 Horses from Moe trainer Russell Cluning were the first to roll in the sawdust of the new facility. “I’ve sent photos to everyone in my network letting them know how good this is,” Russell says. “We are on the road for 6 hours and you need to know you have a comfortable place for your horses when you arrive. “And we’ll make a bit of a holiday of it, knowing the horses are safe we’ll go and stay at Tathra or visit Merimbula,” Russell says. The new stables are the latest action to come from the Club’s strategic plan which has been rolled out over the last 5 years. 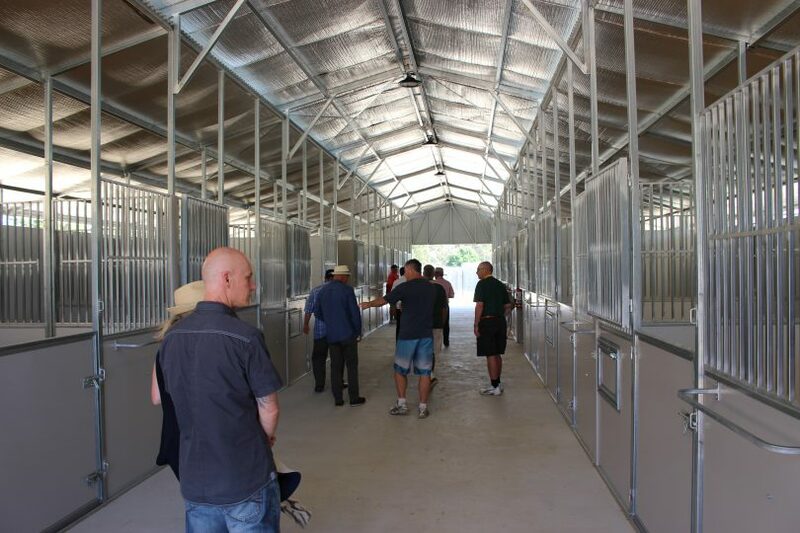 Completed project include new female jockey change rooms, a kangaroo proof fence around the track, shade sails for spectators, new fridges and solar panels, and track improvements. An eye on the winning post from the new stable complex. Photo: Ian Campbell. “The thing that has triggered all this growth is that we have more race meetings from Racing NSW, we now have ten TAB meetings a year and one non-TAB meeting a year,” Robyn says. 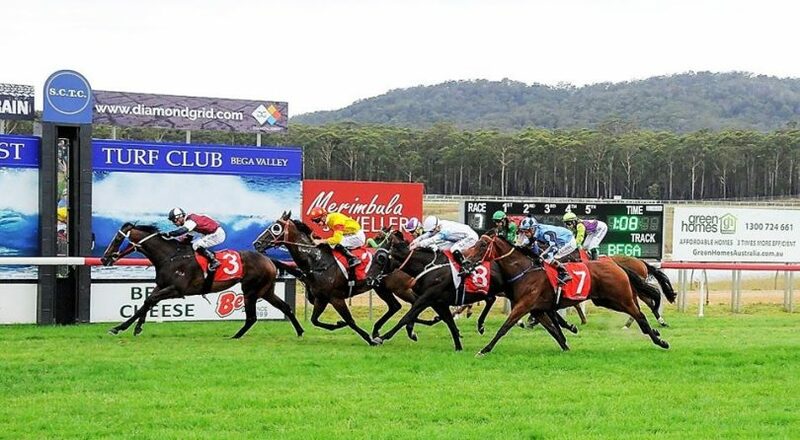 Sapphire Coast Turf Club is working in conjunction with Moruya Jockey Club, and Shoalhaven City Turf Club at Nowra to secure 44 meetings a year between the three clubs. “That will mean we are racing every two to three weeks and will provide opportunities closer to home for the local industry,” Robyn says. Rewards from the work already done are flowing through – prize money for a race is now locked in at $20,000 minimum, which is attracting a higher class of horses. “Five years ago our turn over was $1 million, today it’s $2 million and the majority of that money goes back into the local area,” Robyn says. Rob Tweedie and Robyn Bain from Sapphire Coast Turf Club do the honours. Photo: Ian Campbell. Money aside, there are good times in local racing that Robyn Bain is also keen to acknowledge. “People have fun out here, it’s relaxed, the kids have got a jumping castle, mum and dad can sit down on the grass, chill out and talk to their friends – four hours of bliss,” Robyn says. With the continued support of Racing NSW, there is one more big-ticket item on the to-do list, six to seven hundred thousand dollars worth of track lighting. “Before and after daylight savings, if you are coming out here to train your horse it is pitch black dark at five o’clock,” Robyn says. “We can’t allow horses and people on our track without at least 200 metres of ambient light. “And in this part of the world a lot of our trainers are part-time trainers, so they’ve got full-time jobs. Not having lights here to train at night is a real handbrake,” Robyn says. The next race day at Sapphire Coast is the Merimbula Cup Tradies Race Day on March 9. 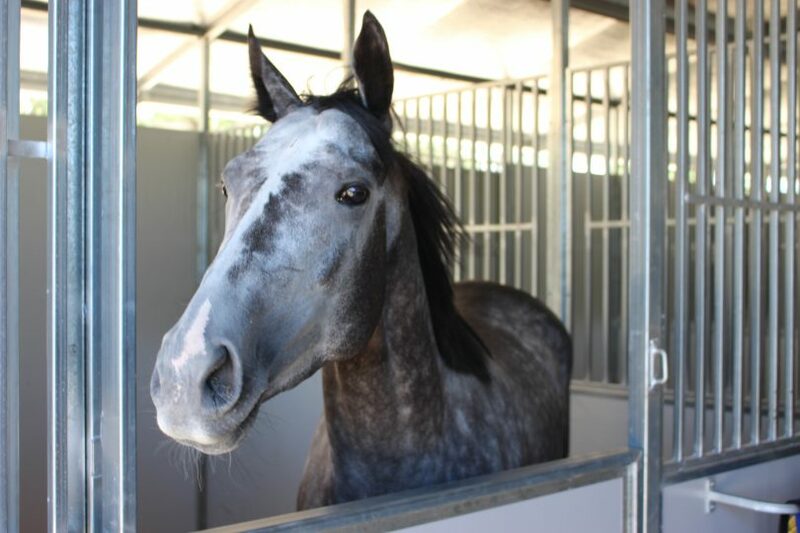 Go the grey! What a beauty! Photo: Ian Campbell. Country racing, when was your last big win? Leave your story in the comments thread below.